SEOUL, Oct. 18 (Korea Bizwire) — The Michelin Guide on Thursday announced its selection of 26 restaurants in Seoul with unique cuisine and quality, including two new two-star eateries. 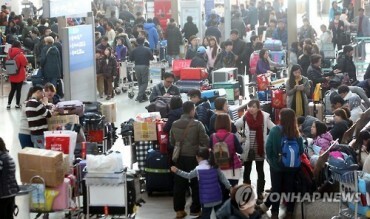 Two restaurants — fine dining Korean restaurant Gaon and La Yeon, a traditional Korean cuisine restaurant at Hotel Shilla — maintained three-star ratings for a third consecutive year in the third edition of the French food guide’s Seoul version. The guide — published by French tire maker Michelin — bestows three stars to dining places offering exceptional cuisine worth a special journey, two stars to restaurants worth a detour for excellent cuisine and one star to those with high quality cooking, worth stopping at. Alla Prima and Mingles — which were both one-star restaurants in the previous edition — were given two stars, joining Kwon Sook Soo, Jungsik and Kojima, which also received the rating last year. 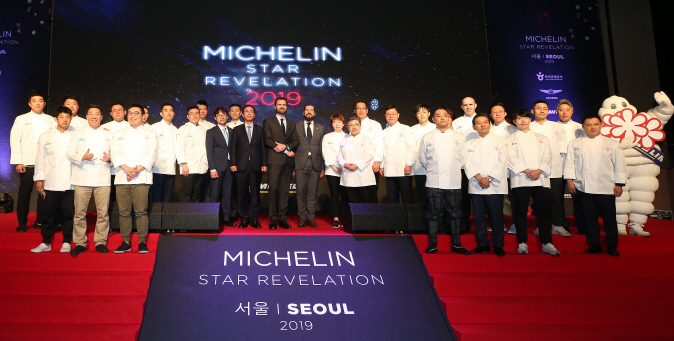 “With these new star establishments, Seoul, which already had two three-star restaurants, is making an impressive leap into the world gastronomic scene,” Gwendal Poullennec, International Director of Michelin Guides, said during the award ceremony in Seoul. The guide also recommends 19 one-star restaurants, including four new ones. Gotgan, which received two stars last year was listed on the one-star eatery list this time.